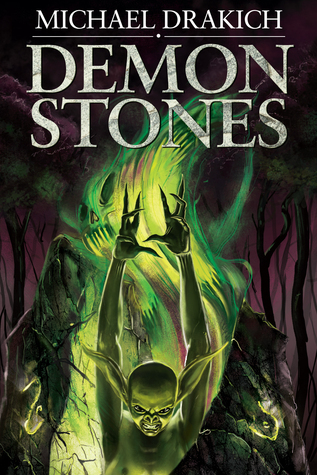 Michael Drakich writes of a fantasy land that is about to experience how much trouble demons can cause in his novel, Demon Stones. When a young boy is compelled to release a demon from its prison, war becomes inevitable and death touches all. Gar is the main character of the novel. He's a teenage farm boy who doesn't know responsibility or consequence. His immaturity and naivety is his downfall, and the downfall of many others. Gar is tricked into opening a demon stone, releasing a previously caught demon back into the world. The demon, who Gar names Hiss, promises to serve Gar but instead Gar is manipulated into opening other stones and releasing more demons. Gar isn't an easy character to connect with. His feelings and misunderstandings as a teenager are easily sympathized with but he's also very easy to disagree with, allowing readers to pass judgment on the bad decisions he makes. Gar is arrogant and inexperienced. However, near the end of the novel readers do witness how much Gar grows through his manipulation. The plot of Demon Stones introduces Gar and then depicts how he is deceived through a dream to open the first demon stone. In consequence to the demon's actions, Gar's home country goes to war and Gar decides to join the army to escape his father. When the army is overran, the demon helps lead Gar to safety and thus begins the manipulation to open more and more demon stones. It doesn't take long for the country's people to learn that demons are being released and deciding that the Warlock Pact has been broken. The first half of the novel is a little slow, but the story line really picks up after the halfway point. Gar wasn't a relatable or particularly likeable character but the understanding that he was being manipulated helped me dislike him a little less. The plot is enjoyable and creative, filled with fighting and magic. The story is definitely what pushed me to finish the book, not the characters. Well, except for Devron and Pap, supporting cast members. I did enjoy their roles in the novel. For most of the other characters, I either disliked or pitied them.